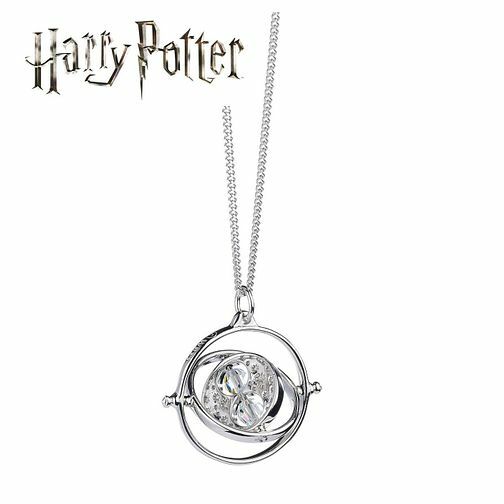 This stunning sterling necklace is the perfect stylish gift for Potterheads, with its rotating centrepiece, embellished with Swarovski® crystals, this necklace will soon become your favourite accessory. Harry Potter Time Turner Necklace is rated 4.6 out of 5 by 23. Rated 5 out of 5 by Anonymous from Very well received by my 9 year old grand daughter. As a real silver item, attractive to look at, I think she will enjoy this jewellery even when her Harry Potter phase passes.